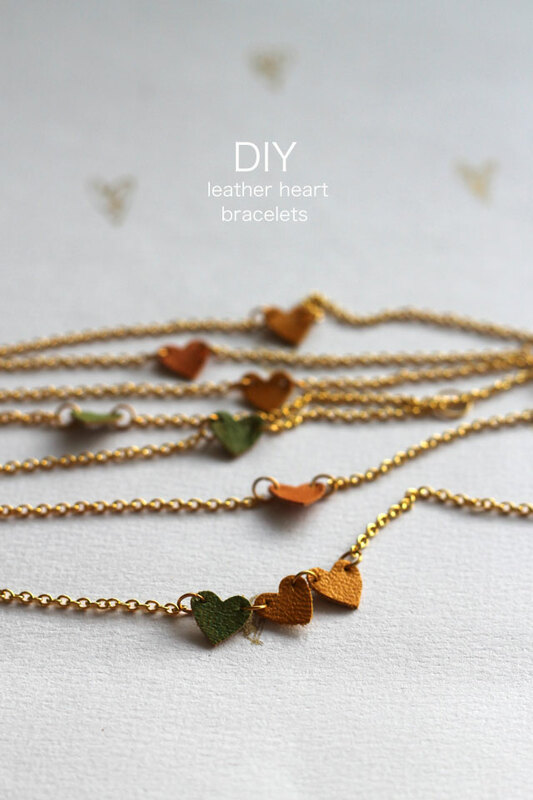 For today's DIY I have gone with really simple and paired down leather heart bracelets. 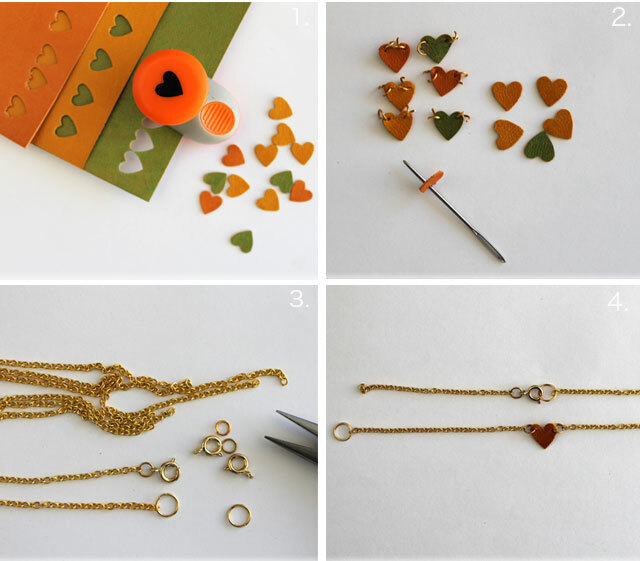 I always say to myself "don't do cheesey heart valentines DIY's' but then the urge gets too strong and all I can think about is heart shaped things. I made these before breakfast on Sunday when I started playing around with my favourite leather scraps and a heart shaped hole punch, they are quick simple and are perfect for dishing out to your loved ones. I don't normally use these subtle colours but I think soft colours work perfectly and stop them looking too sweet. Here's how to make. Materials - Thin leather scraps (mine where from Ebay), heart hole punch, 5mm jump-rings, 7mm jump ring, fine chain, bolt ring - See this findings post for all details. Step. 3. Cut lengths of chain exactly the same size as your wrist measurement and then add a bolt clasp to one end and a jump-ring to the other, See my jump-ring tutorial for more details. Step 4. Link your chain together and cut exactly in half. Fix the heart to chain using the jump ring. 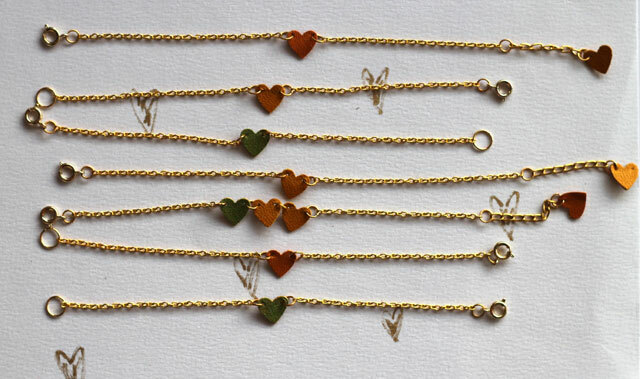 I added some connector chain to a few bracelets and then finished off with a small heart at the end. This is perfect if you are giving as a gift and unsure of the wrist size you are making for. 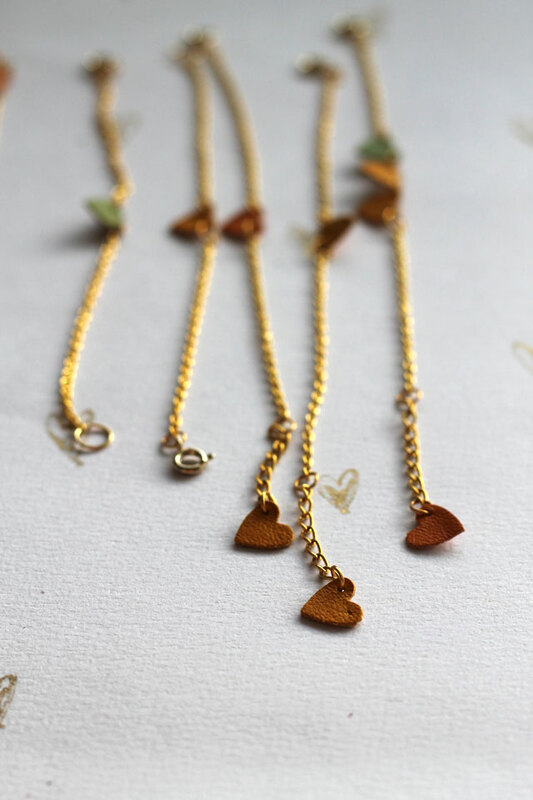 I joined a few hearts together - if you are doing this, make sure your chain is a bit shorter than your wrist length to allow for the extra hearts. PS. 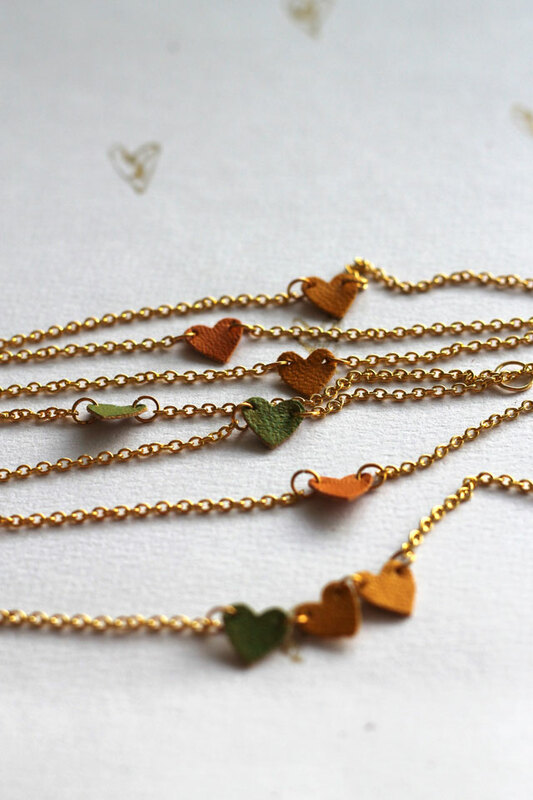 If you want to make more bracelets then I recommend trying this beaded heart bracelet or these super leather and charm bracelets. These are SO cute and I love the colors you chose. They go great with the color of the bracelet. Is this synthetic leather (faux leather) that you used or real leather? Faux suede? The link you attach is broken and all i found were a4 sheets but i would think hand punches would have a hard time cutting clean into leather..even thin leather. Please help with this question. Thank you. need to make some for a birthday party for gift how size are the hearts ?